A study of Ethics in college as a distinct subject shows that there can be no undertaking of the subject without discussion of rules, regulations and compliance. Compliance teaches the need to enforce rules and regulations, and that without it, rules and regulations will be flouted at will by all, and consequently will lead to developments, capable of blemishing the organization or the government's image. Many corporations spend huge amount of money maintaining an entire department to ensure compliance of the ways they have chosen to do business to ensure obedience to rules and regulations. The same is applicable to governments in several countries, spending millions of tax payers money for the people to elect their representatives, who are to make laws to be obeyed in agreement with the letters of the Constitution, and employing law enforcement officers to enforce the laws. Have you heard that women in Columbia, Ecuador, El-Salvador and Jamaica have been advised by the World Health Organization,WHO, to abridge getting pregnant and do you know the reason behind the advise? According to a BBC news report, the Pan American Health Organization, PAHO, the regional office of WHO, handed down the advise due to the spreading of a new virus, called ZIKA. The infection is said to be the cause of mild fever, conjunctivitis and has also been found to cause underdeveloped brains in newly born babies. No remedy has been discovered to stop its outbreak. 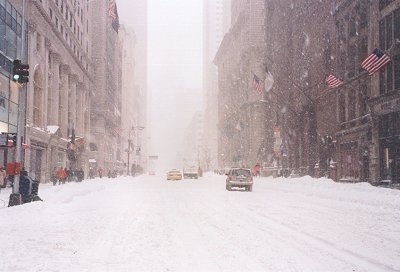 It was rough in New York City on Monday as a result of excessive snowfall through Sunday night into Monday. But before Monday snow headache on the streets, New Yorkers like other people in the United States had savored the Sunday's Super Bowl with New England Patriots victory over Seattle Seahawks, 28 -24, at Glendale in Arizona. Soon, after the Super Bowl, the calculation by North East residents about how to beat the weather on Monday, began. This reporter stepped out aware of the weather situation. But when he reached the lobby of the apartment, he discovered outside there was rain and ice coming down with the snow. He stepped back inside for an umbrella. He discovered again in the lobby the umbrella was not in good condition, and threw it into the garbage ramp. He went for another umbrella and set out on a journey, which he later discovered was one of the toughest he had in recent time and the roads the roughest. 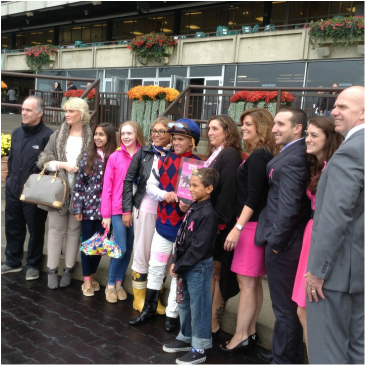 Honoree and members of their families wore pink, and pink ribbons dotted Belmont Park, in addition to plaque presentation, private family launch, photo session with jockeys and a chili cook-off competition that featured Franklin Square and Elmont eateries. Governor Cuomo signed a law to ban the possession, sale, trade and distribution of shark fins in New York State. Citizens Campaign for the Environment (CCE) is applauding Governor Cuomo for taking action to stop the shark fin trade in New York State, thus helping to save millions of sharks globally. Deloris was a female neighbor about nine years ago, when I lived at Avenue D and Nostrand Avenue in Brooklyn, and I worked as a security guard at a Duane Reade Pharmacy at the corner of the street. The man attends the program with his wife, child and the backpack containing the heart that sustains him. The two doctors who enabled the medical breakthrough appeared in the program. At a point, Dr. Stork told the man's child to go hug his father; he the with spectators' watching in unbelief and the two doctors witnessing with awe. Investigation reveals that today's report is a continuation of scientific breakthrough that has occurred couple of years before now. Further, it costs quite a lot of money to maintain the batteries and the artificial heart. In a bus that he takes everyday and trusts the time shown on its dashboard. On one Monday as he rushes to keep a 5.00pm appointment, he looks at the time to keep abreast of the hour he is expected for his appointment. The time is 3.20pm. he has enough time for his journey. Has there been a time change he is not aware? Confusion sets in. He asks a young woman sitting next to him in the bus, she confirms the time on the dashboard as accurate. "Are you sure?" he asks. "Yes," she answers. The gentleman says his phone time has never been incorrect, even when there is a shift in time, forward or backward, the cell phone's time automatically corrects itself. The woman brings out her cell phone and discovers her time is the same as his co-rider's. And that the time on the dashboard is wrong! Why does the news media give scanty coverage to science issues in comparison to other social issues like politics? This is a question that arises after two months of perusing the news media – reading through major newspapers and online publications-to measure the media coverage of science related topics. The New York Times, the British Broadcasting Corporation’s website, Fox News website and This-Day Newspaper’s website published in Nigeria were four media that came into focus. The BBC reports that African children in South Sudan are dying of diarrhea. According to the news, children are dying in large numbers at a refugee camp in South Sudan. The information emerges from a warning issued by Doctors Without Borders charged with responsibility of the camp. The medical charity says as many as four young children die at Batil camp daily. The medical coordinator, Helen Peterson, describes the situation as humanitarian catastrophe. This shouldn't with the level of development of pediatrics, and and knowledge already spread by a renown pediatrician in the continent, about how to combat and demystify diarrhea in children, with the application of Salt and Sugar Solution, also called Oral Rehydration Solution, tested and effective. It is understandable that the conflict between Sudan and South Sudan is capable of compounding an already dysfunctional ability for maintaining human health. But the number of children dying in the camp can be reduced, if mothers in the camp are taught the danger of diarrhea to children's health; how to mitigate the danger by the application of Salt and Sugar Solution, and be taught how to prepare the solution than waiting for proprietary drugs. Diarrhea is dangerous to a child's health when a mother is ignorant about how it dehydrates its victim and what to do to rehydrate the child. My first encounter with a lesson on how to handle and combat diarrhea in a child happened in 1983 as a young father of a first child. Professor Olikoye Ransome-Kuti, then head of Department of Pediatrics at the Lagos University Teaching Hospital in Lagos, gave a lecture in a televised program about the scourge of diarrhea and how to prevent children from falling victims. I watched the program; learnt and prepared a bottle of Salt and Sugar Solution and introduced it to my wife as a substitute to purchasing proprietary drugs, which prices were prohibitive and the reason Professor Kuti gave for his lecture. He wanted help to mother and children. I wrote a feature article based on the professor's lecture that was published in the Daily Times, where I worked in the advertisement department. Few days after the publication, a pharmaceutical company placed an advertisement calling me an amateur journalist, because I compared the Salt and Sugar Solution to proprietary drugs, based on the professor's lecture. I didn't meant to ridicule the proprietary drugs, but to help spread the professor's gospel about the danger of diarrhea to children and how to combat it.I want poor parents like me and my wife acquire the knowledge. 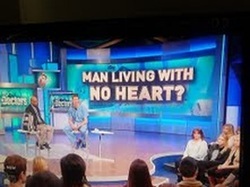 I know most people are poor in our clime and the knowledge will help save money that will be used for other pressing needs, and save children who may die for lack of money to purchase proprietary drugs. I believe that many children have been saved through the knowledge imparted by Professor Kuti. As a beneficiary, i put the knowledge in the public space for other parents to learn from the professor's public lecture. And when the pharmaceutical company published an advertisement criticizing the content of my article, it generated awareness among my colleagues in the office who all asked me to teach them how to prepare the Salt and Sugar Solution. The professor had taught that it was possible to combat diarrhea with a mixture of 6 teaspoonful of salt and four cubes of sugar in a bottle of water ( the size of a large beer bottle), as alternative to costly proprietary drugs. I prepared it, gave it to my child, became what we used and relied upon in our household after the number of children had increased. When Professor Kuti read the advertisement placed by the pharmaceutical company, he wrote and caused a strong worded rejoinder published. He lambasted most of the pharmaceutical companies, which he said had built million dollar plants in certain countries to prey on innocent mothers. The professor saved my professional credence as a writer at the beginning of a career, by encouraging me of further upholding of public interest, which the pharmaceutical company's advertisement sought to derail. The Doctors Without Borders is doing a marvelous work at helping struggling parents ensure survival of children a Batil Refugee camp. The charity's alarm published by the BBC was in order in alerting the public to the urgent need of children in the camp. It would have been inhuman for the charity to be silent, witnessing children's death above a level for emergency declaration. Although the report in the BBC didn't state the exact remedies being applied to tackle diarrhea in the camp toward reduction in the number of death in the camp. It is appropriate to advise Doctors Without Borders to embark on training parents, especially mothers in the camp how to prepare the Salt and Sugar Solution, toward reduction of mortality rate among children in the camp. As taught by Professor Kuti, a renowned and and respected pediatrician in Nigeria before his death. According to him, what is required is to join the head and heart of mothers for them to know they could save their children's' lives from diarrhea by acquisition of a relevant knowledge if taught. Food can be skipped between meals until it will be available before the pang of hunger will set in. 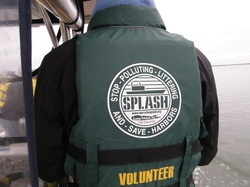 But a delay in replenishing water loss in human body due to diarrhea can be dangerous. Proprietary drugs for diarrhea are costly and may not be easily accessible to be distributed free, while parents in the camp are poor and cannot afford the selling price. Watching children dying isn't a sane option. The easiest remedy is to teach mothers at Batil camp what has been tested, known to be effective and taught by a professional pediatrician that cannot be doubted. 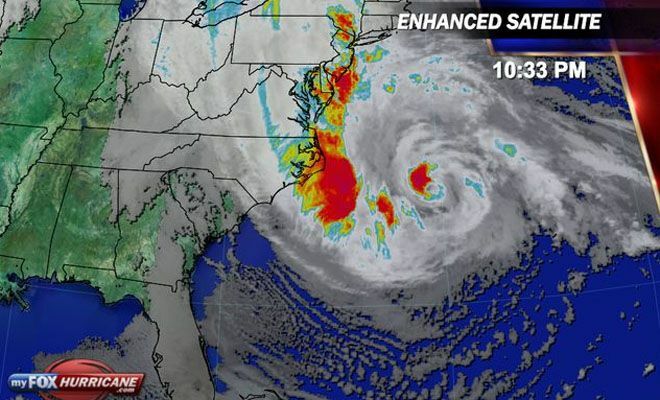 Sandy's eye prior to landfall as captured by Fox News. New York City is near a ghost city with the shutting of subway and suspension of bus service, a response to approaching of Hurricane Sandy. The hurricane is said to be coming with a surge that has never been seen before. Already, there have been reported losses of power in parts of Staten Island and Long Island, and flooding in some areas. "The New York State is very well prepared to do what is required," Governor Andrew Cuomo declared at a press conference attended by all stake holders in efforts to keep the state safe. "Major tunnels like the Battery Park and Holland tunnels would be closed later at 2.00pm today. If the wind reaches 60 miles per hour, all bridges would be closed." The governor said it never ceases to amaze him how New Yorkers rise to the occasion when needed in cooperation with the state. He mentioned the cooperation between the Federal and the New York State Government to make the state safe from Sandy's destructive path. He urges people to be smart and keep away from danger. He explained the reason behind early closing of the subway and suspension of bus service a day earlier, as a step to be more careful than expose the state to Sandy's danger. People not in mandatory evacuation zones are in their homes watching Sandy's drama, and television's crew of reporters reporting from coastal communities and low land areas. Of course, those in mandatory evacuation areas are in schools that have been turned into shelters from the wind and danger expected from Sandy. There are people who remain in their homes against mandatory evacuation. Schools and businesses are closed and they will remain close until Sandy has passed. The New York Stock Exchange has also closed. "Conditions are deteriorating rapidly. Get out if you haven't," Mayor Michael Bloomberg said at a press conference, directly to those defying mandatory evacuation. These measures are characteristic of all cities and towns along Sandy's path that has forced emergency by policy makers, and public address by President Obama alerting the nation, especially the states and cities close to Sandy's eyes not to leave anything to chance. President Obama and his challenger, Mitt Romney, have suspended their campaigns to pay attention to Sandy's disturbances. Sandy is currently running at 90 miles per hour along its path. There is rain, and ceaseless whizzing of wind, in the city. All the people are on hurricane watch, as attested with New Jersey's Governor Chris Christie's statement that the storm's entry in the state has moved further south, schools and businesses closed, and electricity supplies affected in some areas. Governments and people in New York, New Jersey, Connecticut and Pennsylvania are keeping watch over Sandy's dancing motion in the sea, with fear of water surge as it approaches landfall anytime between tonight and tomorrow morning. 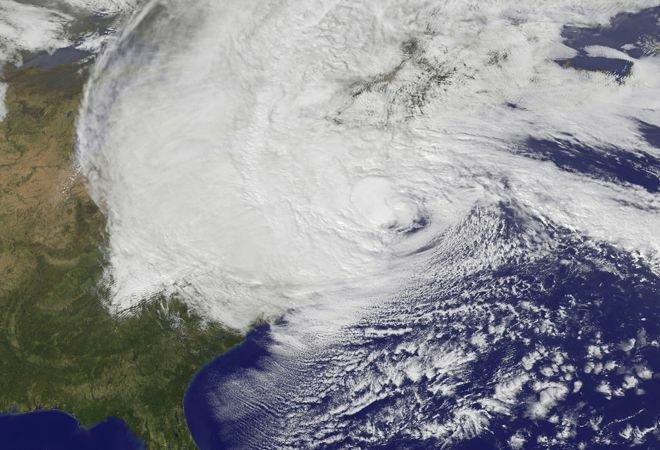 The much dreaded Hurricane Sandy arrives the North East coast of United States, packing a wind of 90 miles per hour. There is a continuous rain and whizzing storm. Many trees are on the ground, and flooding has become a phenomenon. Hundreds of thousand of homes are currently without power. 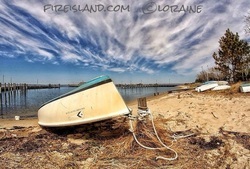 The storm is bombarding the New Jersey shore. Governor Chris Christie has made a last appeal to those who hasn't responded to mandatory evacuation to do so without further delay, as evacuation will be impossible by officials in the night. Report says that trouble is not over and may no be over until about 1.00pm of Tuesday. The storm is creating a lot of havoc, and those who have experience of hurricanes describe Sandy as a different tripe of animal compared to past hurricanes. A man interviewed by the NBC Channel 4 said that the possibility of the subway getting flooded was real. He cited Hurricane Irene's surge in Downtown Manhattan as four feet lower. This experience may be about six feet of flood in an area that earlier has been declared a Zone A for a mandatory evacuation, he said. It is one of the areas that the power supply company has said it would switch off power, like it has done in Coney Island, Far Rock Away areas of Brooklyn, Queens and Long Island. Pictures on television screens are horrendous and one don't need to be told it is unsafe to venture outside until the storm subsides. Sandy's evil spreads over more than five states.